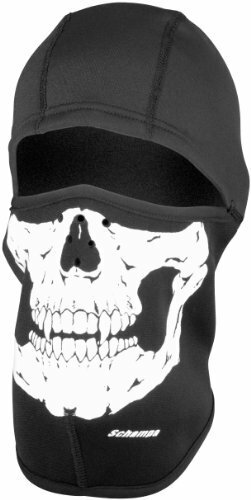 Features • FleecePrene • Form Fitted • FlatSeamed SkullCap • Pullover style • Alone or With any Half Helmet or Beanie Helmet • Fall, Winter, Spring • One Size Fits MOST • Color: Black Skull imprints As with any new innovation in the company there has to be at least two styles. Here at Schampa we understand that our customers love to have a choice and that is what we pride ourselves on. 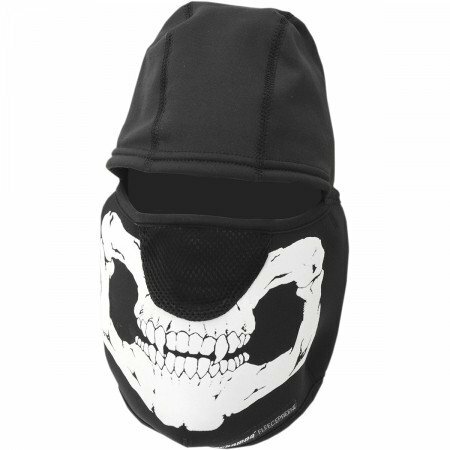 So with the advent of our new FleecePrene line we introduced a balaclava to go along with the facemask. Same cut and style as the facemask in front, except it's a pull over and is made with Schampa's own flatseamed WarmSkin skullcap built into it. 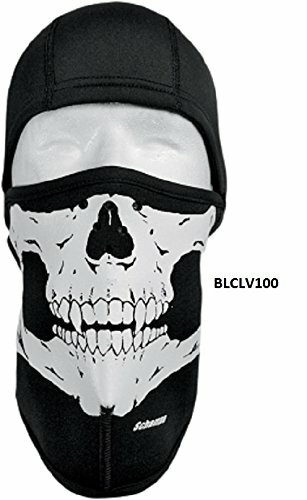 Schampa Technical Wear BLCLV100-F.. Street > APPAREL > Textile Headwear. Primary Color= Black. 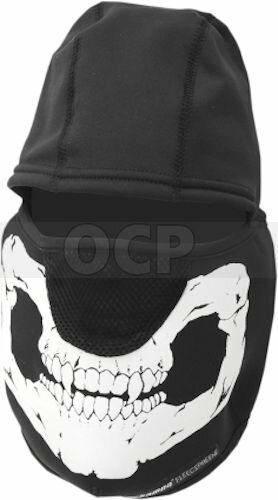 Size: O/S. .
Schampa Technical Wear Fleeceprene Headwear VNG100-F.. Street > APPAREL > Textile Headwear > Fleeceprene Headwear. Primary Color= Black. Size: O/S. . Unique mesh nose and mouthpiece for easy breathing and reduced fogging of glasses and goggles.